People have been saying nice things to me and actively supporting me. Both of those things are–and I know this sounds insane–kind of hard to take. Because I’m proud. And scared. A dream of writing a book and seeing it in the hands of children has been realized. I ‘m pleased and encouraged. I feel supported and loved. But I can find the holes. In the midst of telling this story I have learned something about myself, my posture in receiving God’s gifts, and the spiritual inheritance I want to leave for my children. I was really reluctant to offer the pre-sale for my debut novel on kickstarter, but we decided to do it and, after some great advice (and many cautions) from experienced and wise friends, we forged ahead. I had no idea what to expect. We set the goal at $10,000 and weren’t sure if that was too high or not. But we herded our ducks into a semblance of a row and pressed launch at 6am on Friday morning. Nineteen hours later we had reached our goal. What an incredible start! It was an amazing experience, all the more wonderful for having been shared with so many well-wishers and friends who cheered us on and are sharing our journey. It keeps climbing steadily on and I’m happy about that, because it means more kids are going to get this book and that means my prayers are beginning to be answered for them. We are near the end (but there’s still time to get your copy!). I just returned from a wonderful conference in Nashville put on by Andrew Peterson and The Rabbit Room. I was congratulated with sincere joy and hugged precisely 8 trillion times. I got to thank some backers, which was fun. I also got asked about my book over and over. People lined up to tell me they were on my side. It’s been amazing. It’s been genuinely humbling. I didn’t say, “It’s no big deal, don’t waste your time.” I said, “thanks so much for asking,” and I talked about the book. But in my heart, I was conflicted. My friend Helena pulled me aside and gently chided me. “Hey, Sam. I noticed that when people ask you about the book, you assume an apologetic posture.” She went on to very generously explain that she notices it in me, because she knows she herself does the same thing. “Stop it!” she commanded. I knew it was true. Why? Because somewhere (deep?) in my devious heart I believe that nothing I could make would be valuable enough for other people to love and appreciate. And since I know I shouldn’t apologize with my mouth, my body kicked in to “help” out. But this is a lie I believe. And the truth is this: I mustn’t tell lies. Really. This spell needs breaking. It was a needed corrective, and aided by My friend Sally (pictured with me above) who also gave me some much needed encouragement and direction to help battle this attitude. Her enthusiasm was infectious. She reminded me why I’m doing this. I love this story. I loved creating it. I love that it is coming to reader’s hands very soon. I love that so many people have told me, in various ways, how excited they are to receive it. I need to actively silence the voice within me screaming out that I have no value, that I’m unloved and unlovable, and that the only safe place for me is silence and withdrawal. Because that voice never seems to call in sick, but shows up early and stays late at the workplace of my mind. Why am I so tempted to believe lies about my own value? Why are you? Would I want my kids to live with an apologetic posture? I’ve seen it and I hate it. I hate that I am giving this to them as a kind of awful inheritance. I’ve spent a large chunk of time and energy on trying to communicate to my children that holy times are times for reflection, yes, not only (or primarily) upon our own sin and need, but upon the great provision of God in Christ. I try to tell them they are loved and accepted. 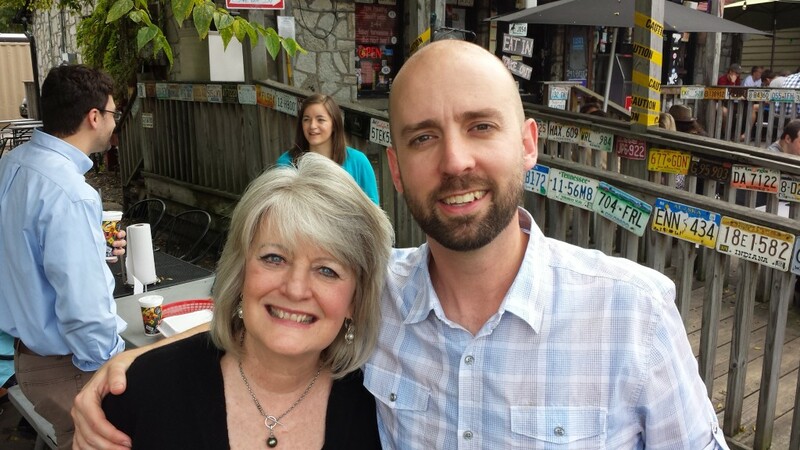 I whisper in my worried son’s ear that I approve of him, that I love who he is, that God loves him more and, in Christ, approves of him far more. I don’t want my kids to slink along the earth’s surface with an apologetic posture, sorry to be a bother to anyone who encounters them. I want them to sing from glad hearts, to smile in their security, to weep, even, like people who belong and are loved. I think God wants that for us as well. Not to swallow the poison of the prosperity heresy, but to drink in the abundance of our identity in Christ through every poverty we own. It feels just as hard, in some ways, to believe in the sunshine as in the shade. So I repent of my apologetic posture and the lies my heart manufactures to so position my body. I pray for a miracle in my heart. A miracle of self-forgetfulness. As a dad, as an author, as a husband. As a man. As the beloved of Jesus. S.D. Smith lives with his wife and four kids in West Virginia, because it would be weird to live with someone else’s wife and four kids in West Virginia, or anywhere else, right? Sam is passionate about fostering holy imagination in children, about anticipating the coming Kingdom in family, community, and church life. 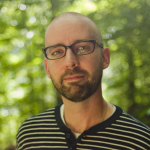 His collaborative website, Story Warren, is an artful ally to parents who are eager to foster holy imagination at home. Sam is a soccer dad, defying the critics who insist it’s “Communist Kickball.” While not being a Communist, he enjoys connecting with his kids over the Bible, literature, music, free-market soccer, and that noise where you put your hand under your armpit and flap it like a chicken. His beautiful wife, Gina, is the heroic heart of their home and is spectacularly tolerant of soccer and strange, guffaw-inducing noises. Dude. Again, with the inside my head. Again, with exactly what I needed to read. Thank you for telling your story. Thank God for Helena & Sarah. And thank God for The Green Ember! #RabbitsWithSwords!! Funny thing about English words. When I first read the title of your post I thought, “Yeah, you really should be apologetic about The Green Ember!” Apologetic as in giving a defense, not as expressing a regret. I will confess as a fellow author that I, too, can assume the “apologetic posture” and become my own worst critic. But it is, thank God, a correctable condition, as you so eloquently shared as an excellent writer. 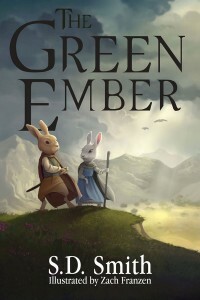 So I just want to encourage you to become a true apologist for The Green Ember. It’s a treasure that needs to be shared, because it comes from the God-filled treasure chest of SD Smith’s heart. And there’s nothing you need to be apologetic about … well, you know what I mean. Wow, thanks for undertaking to fight this battle, and even more for writing and sharing it! Yes, you have so much to say, Sam! So glad you took a risk and have a great book now in hand. Can’t wait to see it! The phrase you used towards the end, “self-forgetfulness” is key. Pride can show itself in a puffed chest and upturned nose but it can also show itself in a slumping posture and down-turned eyes. Either way our focus is turned inward on ourselves, rather than outward on the God we serve with the gifts He gave.